Wake up to great style with rustic decorating and reclaimed wood furniture for the bath! At Woodland Creek’s, the world of country decorating is wide open. 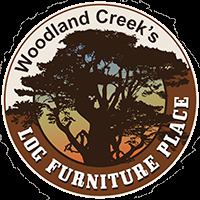 We offer fine log furniture and cabin decor accents for every single room of your home, cabin, cottage or lodge. 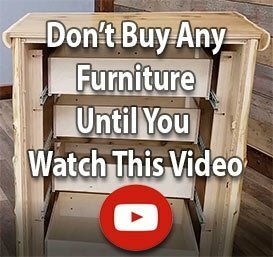 After all, that’s the best way we can think of to help you cultivate a cottage furniture or western furniture look that suits your style and helps you make a cohesive statement in the bedroom, bathroom and beyond! …add a Black Walnut & Rustic Cedar Medicine Cabinet and an over-the-toilet cabinet! With an appropriately-sized bathroom vanity selected, your picture-perfect rustic furniture powder room is near complete. Which is why you don’t want to forget a few other rustic decor wash room necessities: A real wood furniture mirrored medicine cabinet and a matching overthe- toilet cabinet for sturdy, stylish storage of both incidental and daily-use bathroom supplies.